Discover the use and application of the latest utilities tech. Identify new markets and understand how to exploit them. Gain fresh ideas and inspiration to keep your business ahead of the curve. Explore the opportunities that come with transition. Network with 3,000+ industry colleagues and contacts. Stay on top of your industry. 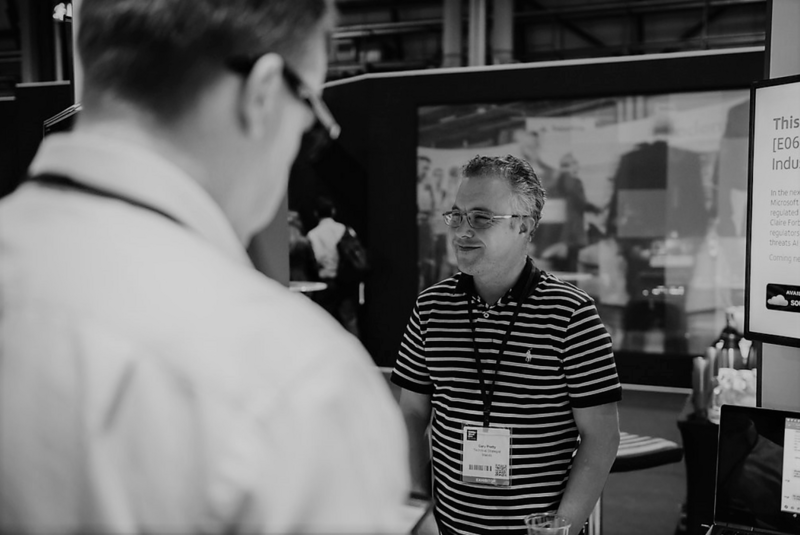 The NEC is located less than a ten-minute walk from Birmingham International Railway Station, which means you can arrive at Utility Week Live quickly and conveniently, without even having to step outside! Many services run direct to Birmingham International. If yours doesn’t, you can catch a connecting train at Birmingham New Street. There are regular services, up to nine times per hour, and the journey only takes 10-15 minutes. For further information call National Rail enquiries on 08457 484950 or visit www.nationalrail.co.uk. The NEC is eight miles east of Birmingham City Centre, and at the heart of the UK motorway network. The postcode is B40 1NT. The NEC has 16,500 spaces available. Follow the electronic signage or directions provided by the NEC traffic team to get you to the right car park area for your event. Once you’ve parked, you can either take a free shuttle bus or walk to the hall using the sign posted footpaths. Standard parking is charged at £16 per day by the NEC or you can pre-book discounted parking here. Over 120 National Express and Megabus coach services run daily across the UK to Birmingham Airport. From the Airport, you can get to the NEC via the free air-rail link, which takes just 90 seconds and runs every two minutes. Birmingham New Street station is approx. 11 minutes walk from Digbeth coach station. The NEC is approximately 10 miles by taxi from the coach station at Digbeth. Jumping on a bus in Birmingham City Centre? You’ll need the X1 service (every 15 minutes) or the 97A (every 30 minutes). Local services also run from Solihull (966) and Coventry (900). The NEC have teamed up with TOA Taxis to ensure a safe, friendly service is availanle to you 24/7 at the NEC. You can book over the phone by calling +44 (0)121 427 8888 or 0800 014 2729, online or via their handy app. Alternatively, pick a taxi up at the clearly marked ranks outside the NEC main entrances. For added convenience, TOA Taxis accept all major credit cards, subject to a charge of 10% + VAT. If you plan to arrive at the NEC using a different taxi or private hire provider, you will be dropped off at either the Piazza drop off and pick up area or the Atrium entrance. The NEC is just minutes away from Birmingham Airport (BHX) – handy for international visitors and those on UK internal flights! From the airport, take the free and fast Air-Rail Link to Birmingham International Railway Station and then it’s just a minutes walk the to the NEC entrance. The Air-Rail Link runs every two minutes and takes just 90 seconds to reach the NEC. It leaves the airport from the upper level of Terminal 1, and operates daily between 0515am and 0200am. EventExpress have negotiated special discounted rates on accommodation for you in a wide range of well-located hotels. We recommend you book early to secure your reservation at your preferred hotel. Located on the NEC site, adjacent to the Genting Arena, Resorts World Birmingham is one of the most exciting retail & leisure developments to arrive here in the UK. It joins a family of Resorts World destinations located across Asia and the USA, Resorts World can be found in Singapore, Manila, Hong Kong, Kuala Lumpur and New York. You can now experience the magic first hand here at the NEC – now a truly 24/7 leisure destination. There are a host of cash points located around the NEC (many are free, some charge). There is also a NatWest bank by hall 4 in the Piazza, which is open Monday to Friday 09:00-16:30 (Wednesday 09:30-16:30). Visitors from every faith have always been warmly welcomed at the NEC. There is a chaplain available for consultation and support, and also a popular multi-faith prayer room, available in the Piazza or Atrium. Inside the room you’ll find washing facilities, prayer mats and holy books, many of which have been generously donated by representatives of local faiths. The NEC are also happy to put you in touch with local faith leaders and places of worship, just call the NEC's chaplain on +44 (0)121 767 2911. When visiting an event, the last thing you need is excess baggage. So why not drop off your bags, coats and luggage at the NEC's cloakrooms, which can be found adjacent to the halls. Items are charged at £1 each. In the interests of safety and security, overnight storage is not possible. Sorry. The NEC offer secure mobile charging units in the Piazza and Atrium. Compatible with most major models, charging costs £1.50 for 30 minutes, £2.00 for 50 minutes or £3.00 for 90 minutes. If you’d prefer to keep it old school and make a quick call home or abroad from a payphone, you’ll find several located in the Atrium (Halls 6-20) and the Piazza (Halls 1-5). If you are not a British citizen or a national of a country in the European Economic Area (EEA), you will require a visa to travel to the United Kingdom. Utility Week Live does not provide visa invitation letters for prospective visitors under any circumstances. If you require further information regarding visas please visit the UK Bordery Agency website or contact your local Embassy. Our award-winning feature area is back for 2019, and this time we're making it even tougher for our team of hacker. Once again, teams will spend 24 hours on the expo floor (with a break for some sleep, of course), designing and building prototypes to help solve an industry-wide challenge. The exact challenge is TBC, but we've sneakily added in a must have focus: sustainability. 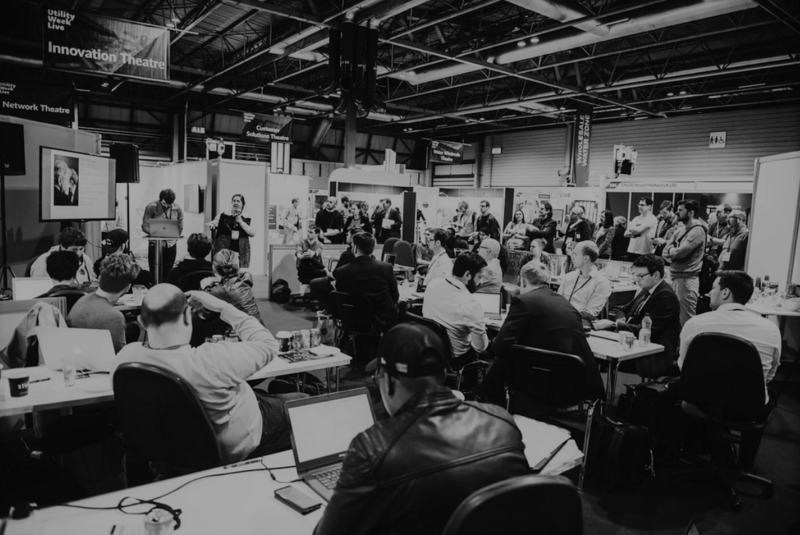 Show visitors will be able to interact with the hackers, monitor their progress, and gain a valuable insight into their approach to this challenge and the implementable solutions they create. Place your brand right in the heart of the multi-billion £ water, gas and electricity sectors.